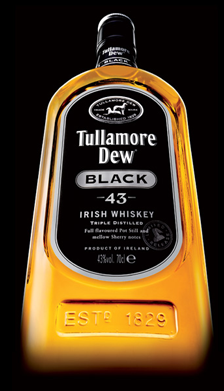 From Ireland hails one of the most popular and best known whiskeys, Tullamore Dew, brewed first in 1829 by a couple in Offaly, a remote little Irish village. It was named after a master distiller (Daniel E. Williams - DEW). The triple and distilled spirits rest in oak barrels for 12 years, creating an ultra-smooth tasting drink with hints of lemon in the glass.